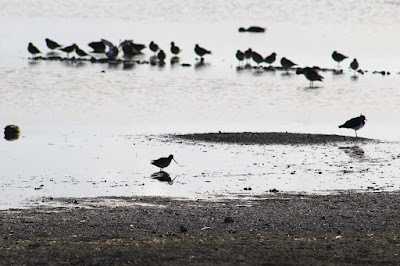 Jonathan Lethbridge has written a couple of interesting posts recently about blogging in general and how it appears to be less popular, not just on birding, but other topics too. He asked why some people are falling out of love with it, and even includes himself in that regard. I must admit I write less as the years trundle by, although this is the first year since I started that has seen an upward curve in blog posts. I guess it is indicative of how fewer people are contributing towards birding blogs that this year my Randon's Ramblings Award for best blog is almost certain to end up with only two real contenders. I think it is obvious who they are. A shame, as there have been numerous blogs I used to look forward to reading each week that have now sadly disappeared or are just sitting there gathering dust. Two spring to mind. One is Not Quite Scilly. Gavin Haig relaunched his blog last October, but has not posted anything since April. A real pity, as he is one of the great birding writers. The other is Gwent Birding, by Darryl Spittle. Another great writer, Darryl tends to express his views more these days on Twitter. His tweets, unfortunately, are mainly about Brexit, something he is pretty obsessed with and, dare I say, neurotic about. I have noted through Peter Alfrey's blog, that Darryl is in the Azores at the moment. I'm hoping when he returns he will feel compelled to write some more great blogging prose about his trip – but now the pound has fallen through the floor and, as a consequence, there is a Marmite shortage, I'm not holding my breath. For me personally, my infrequent posting is due mainly to time constraints and a general lack of creativity when I've not seen many birds. Not much more to it than that. Talking of birds, I made another trip down to Margate on Monday for another afternoon follow-up hospital visit with my old mum. 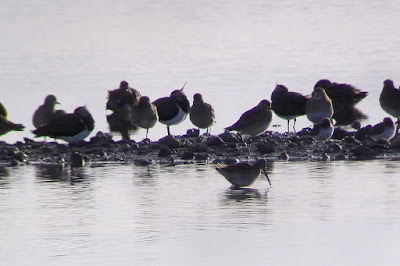 I left at first light so as to drop in to one or two places en route to Thanet, and started off at Oare, a current favourite reserve, to see the Long-billed Dowitcher. 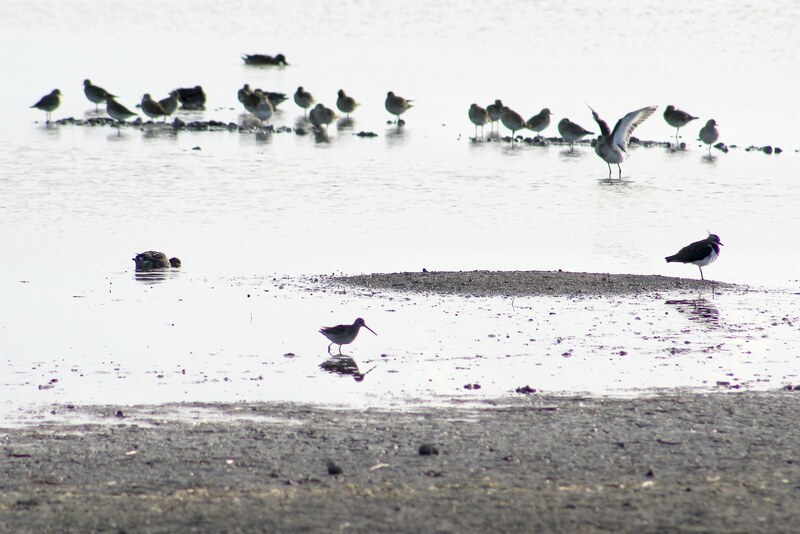 I've a number of bogey birds I want to strike off the list, and Long-billed Dowitcher is one of them. I've had a couple of long-distance (for me, at least) dips in recent years and as a result I've had no urge to go driving off somewhere for hours to go to see one since. So when one of these American waders appeared at Oare the day before my visit, it was a straightforward task to take the detour. The sun was shining low across the East Flood, which meant most of the birds present were in silhouette, but luckily there were a couple of local birders there who were already on the Dowitcher. 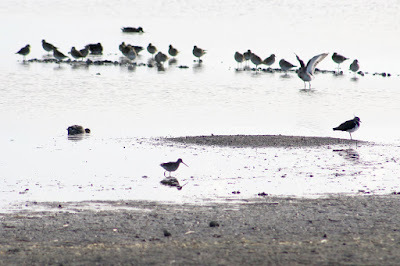 So in a matter of minutes I was watching my first Long-billed Dowitcher. 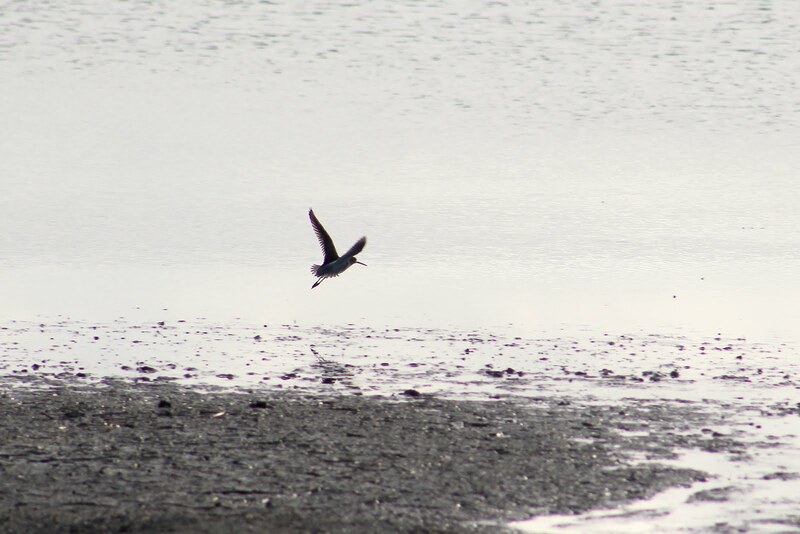 And a nice little wader it was too. It preened a bit, feed for a while, and flew about a tad. Another bogey bird of mine, probably the worst of the lot is Yellow-browed Warbler. I've never seen one. I've seen its cousin, the Hume's Leaf Warbler, but the commoner sprite has always been elusive. Added to which in recent weeks we've had a massive influx of them, and they have been spreading inland. The plan on Monday was to visit Oare and maybe take in Reculver, Margate Cemetery, where three had been present the day before, and if all else failed, Northdown Park, just 400 yards from my mum's house, where two had been seen. While I was at Oare, the phone rang. It was Ray Baker. Ray is one of my local patch's top birders, who visits the site regularly. And he doesn't ring unless he has got something good. At 8.30am he spotted one in the bushes along the railway embankment near The Moors pools. All I could do was shake my head in mock disbelief. As always, I was in the wrong place at the wrong time. The Dowitcher was nice, don't get me wrong, but a patch tick that would also have been a lifer? Not happy. Needless to say, my efforts to find a YBW on Monday drew a blank. The best I could come up with were unsatisfactory views of at least eight flighty and distant Ring Ouzel at Margate Cemetery, including one adult male. I never thought I would end up being disappointed just seeing these lovely birds. On Saturday, Annie and I are heading off to Spain for a week – not to Mallorca, but to a nice villa in the hills about 10 miles inland from Benidorm. Have a lovely time in Mallorca, I've seen YBW on Tenerife so it's not totally impossible.